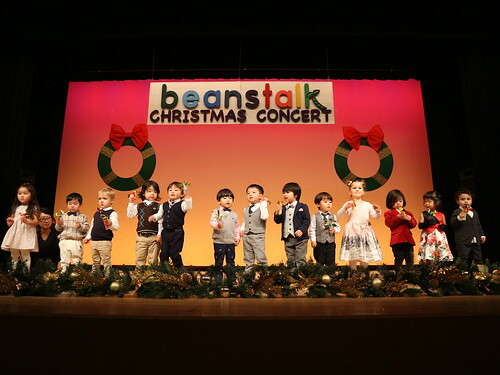 On Wednesday 13th December 2018, the Beanstalk students, teachers and mothers took part in our annual Christmas concert. As with our previous events this was spectacular, exciting and amazingly well performed by all. 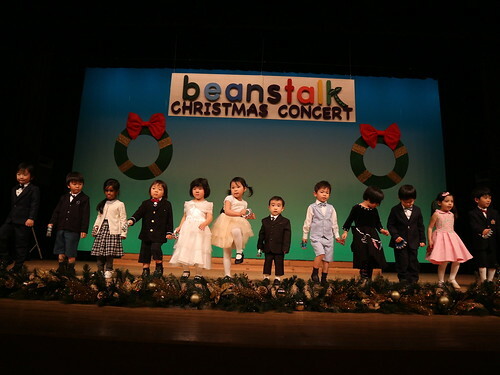 After setting the stage the children started to arrive and we wasted no time in getting a rehearsal in. The children were so excited, it really showed on their faces. They were all ready for the parents to come in and show off their hard work. 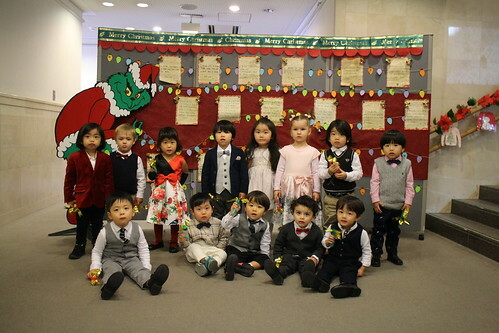 We split the DeeDee Deer class up into two groups this year. The first performance of the day was done by DeeDee Deer group 1. 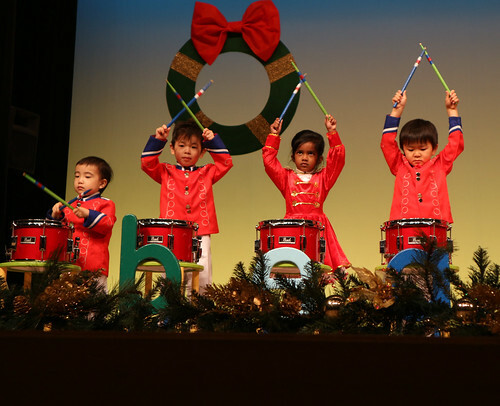 They did a drum performances of The Nutcracker. All of them performed so well! 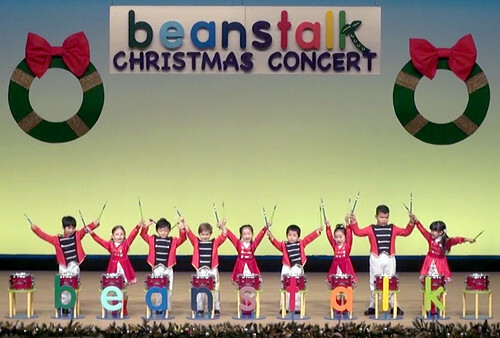 The DeeDee Deer group 2 performed Ruslan and Lyudmila. 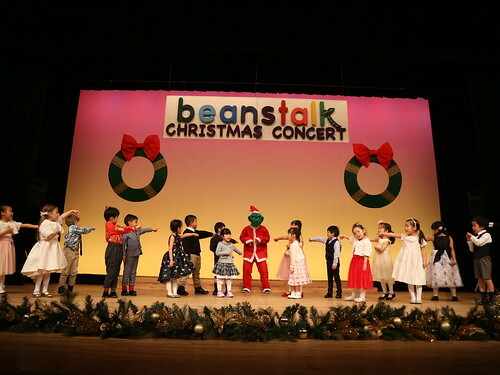 Both acts were done brilliantly and the children really enjoyed being on stage. The Robby Rabbits came on stage next, performing two acts: Carman and Minuet. 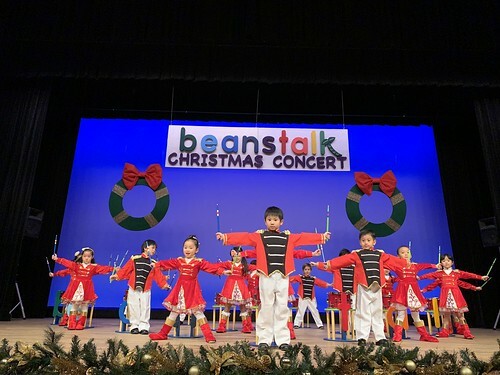 The children had been practicing so hard for this and it really showed. They came off the stage with big grins on their faces. 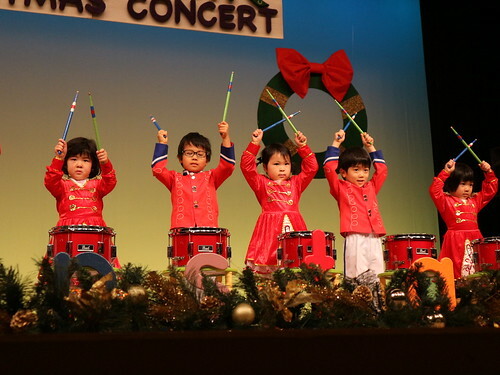 All of them had a lot of fun drumming in front of their parents. Meanwhile backstage the DeeDee Deer class were getting changed into their costumes. 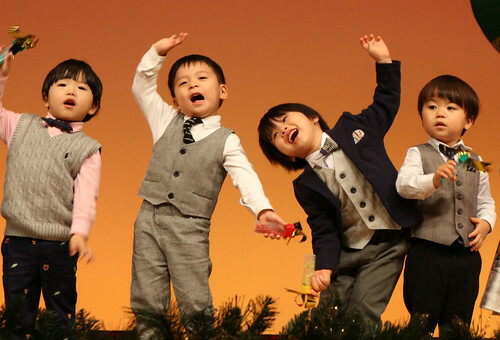 They had been practicing so much for this performance and were very eager to get on stage. 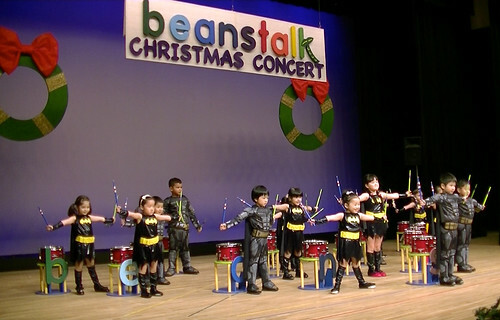 The lights went dark and the concert hall was filled with little batmen and batgirls rushing to the stage. For everyone who was there I’m sure you’ll agree it was an amazing performance! 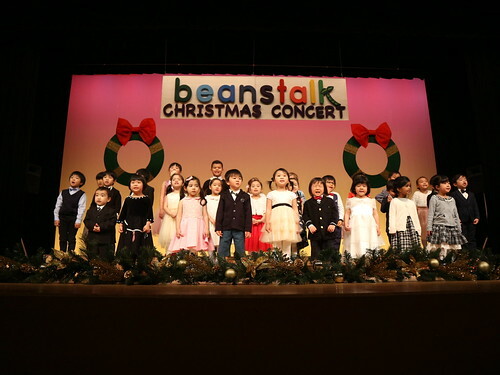 After a short break the Christmas concert continued with the second act of singing performances. 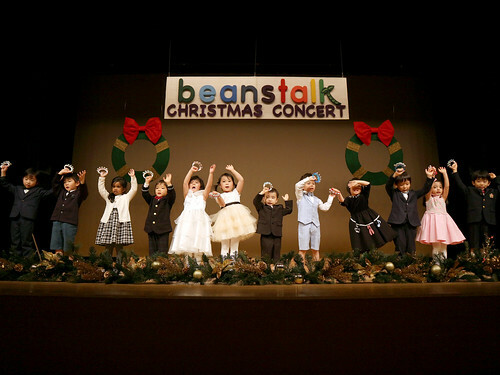 The Missy Mouse class came on stage to perform two acts: Feliz Navidad and Holly Jolly Christmas. They were all so good, nobody cried and they were so happy performing on stage. 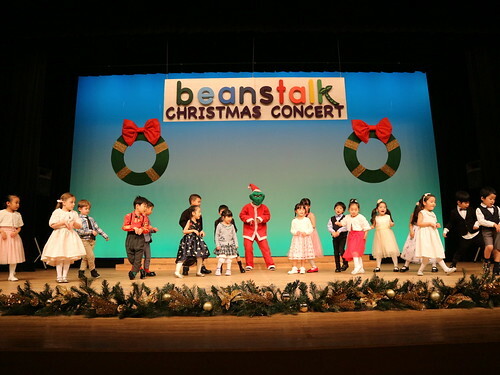 A popular performance from the previous years has been the boys and girls songs. 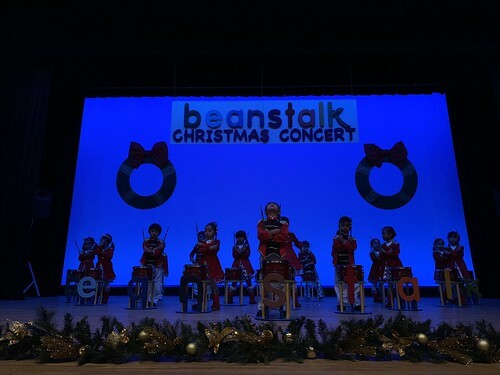 We continued this trend into this years Christmas concert. First up was all the boys singing Twist and Shout. Next on the stage was all the girls and they sang Winter Fun. Both groups sang and danced really well. 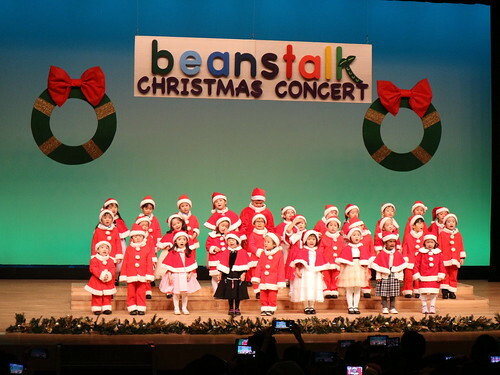 The Robby Rabbits took to the stage once again singing Santa’s on his Way. They sang and danced really well and it was a great performance. The DeeDee Deer class came on stage next to perform You’re a Mean One Mr. Grinch. They all told that Grinch on stage how mean he really was! During summer we had two French interns come and help out at Beanstalk. They taught the children some French songs. 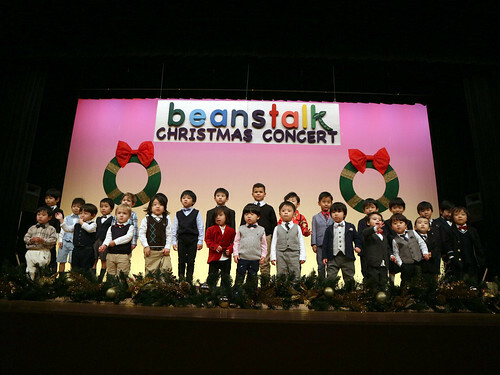 As all of them sang it really well we decided to add a French song to this years Christmas concert. They sang J’ai Perdu Le Do De Ma Clarinette and did a great job with their French accents. 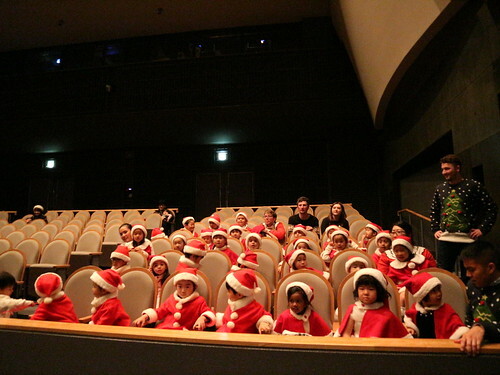 The children gathered into the concert hall and sat together ready to watch the teachers and their mothers on stage. 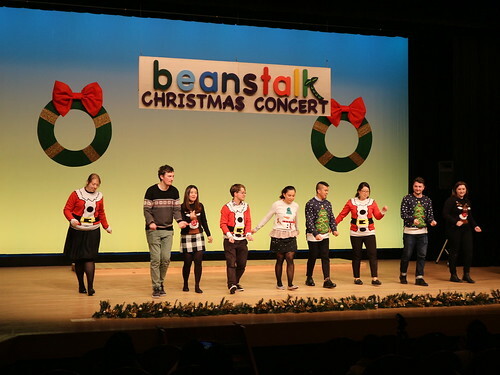 The teachers got on stage first and danced to Christmas (Baby Please Come Home). 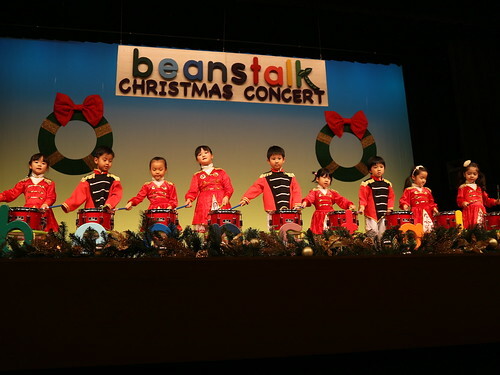 Although we were very nervous, we were happy to perform in front of everybody. 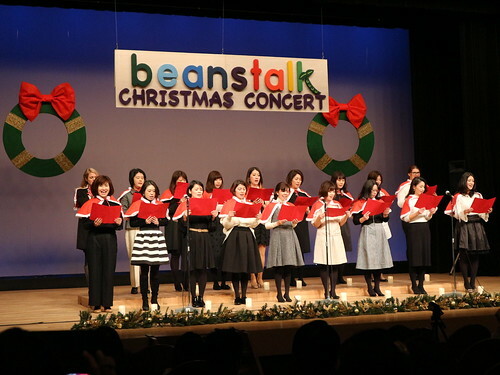 The Beanstalk mothers came on next singing two songs: Arrival and Happy Christmas. 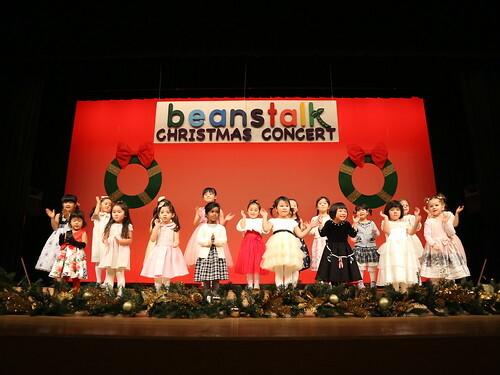 The children really got excited seeing their mothers on stage. 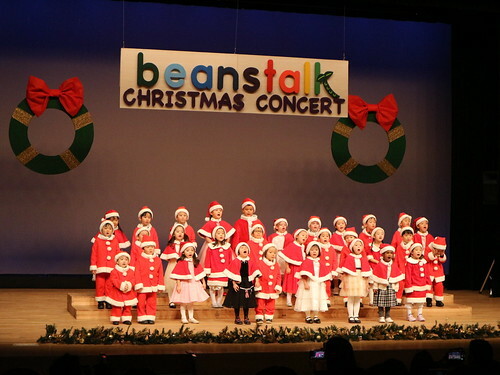 The finale to the Christmas concert had all the children on stage singing several Japanese songs: Awatenbo no Santa Claus, Oshougatsu and Yuki ya Konko. 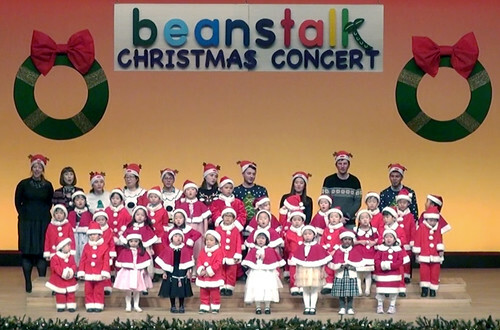 The final performance was with all the children and teachers here at Beanstalk singing We Wish You a Merry Christmas. We’d like to thank all the families for attending and we wish you all a very Merry Christmas.